This might just be the most answer-desired question of my generation. And the answer is…. Yours. Right? 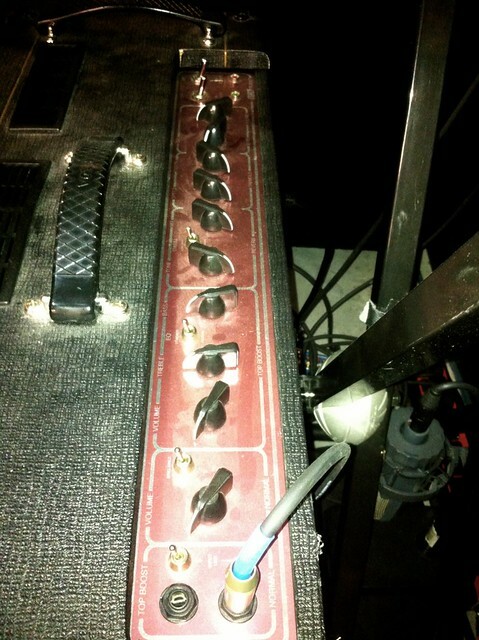 Most guitar players feel their tone trumps all. It’s their signature, ego, and nobody better mess with it or suggest changes. How do you lose friends fast? Dis their tone... I used to be that guy. Earlier this year at our Seeds Conference, a group of guys gathered around my pedal board, talking about my tone for that night... “It’s too boxy.” (cue hand motions) “Like narrow, you know, I’m not a fan.” I walked off stage laughing about it, and then cried myself to sleep that night. Not really. I don’t wear my tone on my sleeve like a lot of guitar players do. These were the same guys that I noticed during the service that night worshipping their guts out. Mission accomplished. Our mindset as lead guitar players should not be to blow minds and please other guitar players with our tone, but to exalt and make excellent the worship of our Lord and King. Motivating, huh? But what that also means is striving and working hard for a tone that is excellent and enhances the songs that are being played. And that takes work. Andrew and I are constantly tweaking and trying things to make my tone better. 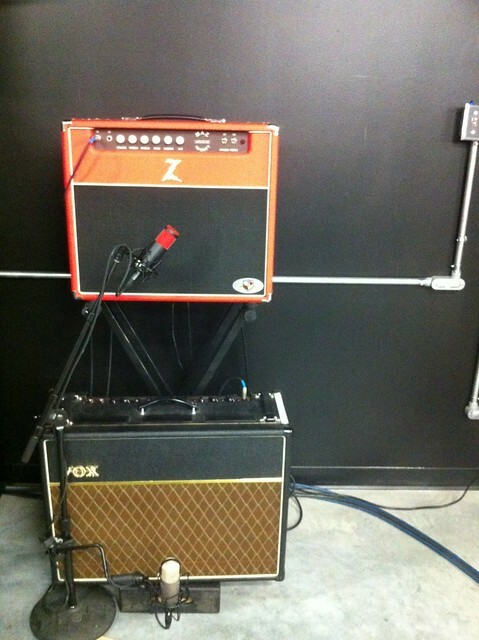 In this blog, I’ll be sharing info on my setup: amp settings, pedals, guitars and getting the sound that we want to hear on stage here at COTM. What works for us here in the large room that we play in might not work for you but this could be a good starting point especially for a guitar player who is in search of something different! The sound that I strive for is: crispy, shimmery, clean, wide, deep and cutting. The whole deal. I achieve this by having options. I don’t want to be a player that has just one sound. 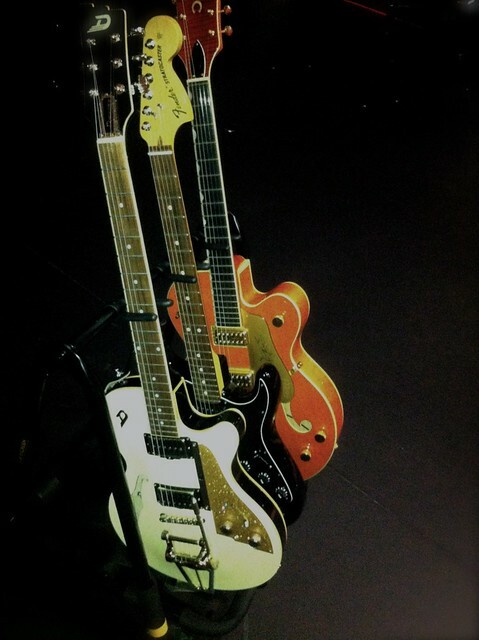 My guitars are a Duesenberg Starplayer TV, Fender American Special Strat and a Gretsch G6120 Chet Atkins. 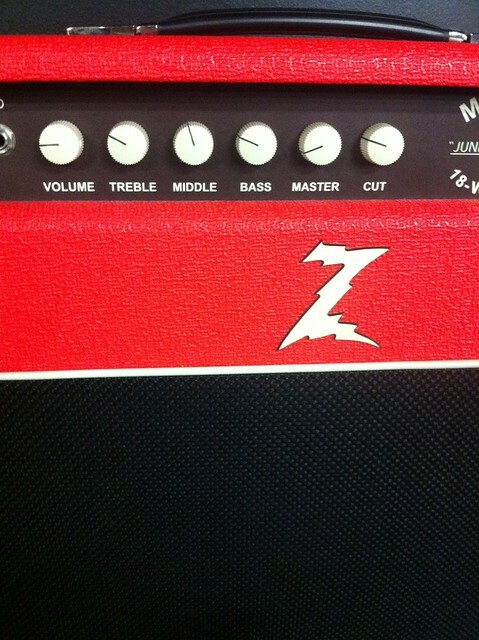 Results depend on the guitar you are playing, amp you have, tubes, etc. so I don’t know how much help my actual settings will be for you personally..
Andrew has 2 Mics on each amp, one in back one in front, and is able to blend the amps differently depending on the song/mix. I play with several overdrive/boost pedals, each dialed in to give me a slightly different tone than the one before it and also the option to stack if needed. 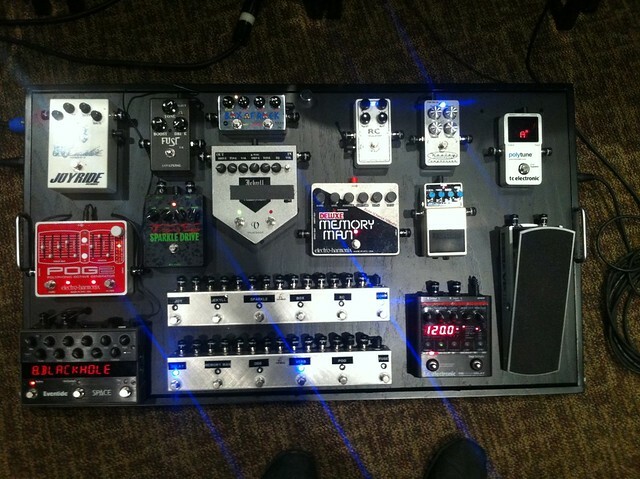 Overdrive/boost pedals are as follows..
My reverb is an Eventide Space. Great sounding, tone expanding reverbs, options are endless on this pedal. I use about 6 of the 100 available presets, the “Blackhole” setting with mix at about 30 percent is what i use the most. If I need a slight verb, the “plate” setting is great. This pedal is also very easy to use live and easy to switch presets fast. When it comes to creating a great sound in the room you play in, I believe options are best. This in no way is meant to say that I have all of the answers and you need all of these pedals and settings to have good tone. What works for us here at COTM might not work for you but this might be a great starting place if you are wanting to try some new things!